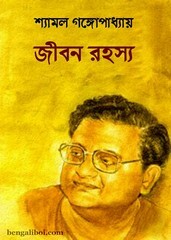 'Jiban Rahasya' is an autobiography book of Shyamal Gangopadhyay. The book is astonishing. Anyone can write like this? What a cruel joke about the cruelest event. It is amazing to think. However, Gangopadhyay presented the issue through humor, it was not a laughing thing at all; there was a rude reality. Like this, chest bursts crying, and the belly bursts laughing. Life is a unique-beautiful unfinished novel. Not in the eyes of death; rather it has to be educated with the reality of life in the eyes of eternal life. Read the amazing autobiography book as pdf. The ebook pdf has 227 pages, 14mb file size and collect from link below.